Flying from Gatwick Airport should be a stress-free experience. Need to find out where the cash machines, information desk or toilets are? We’ve got you covered. 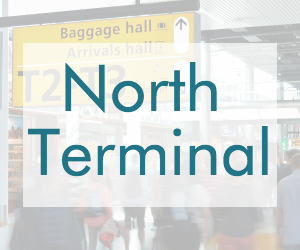 Our two dedicated pages on are full of terminal information for both of Gatwick’s two terminals, including what facilities are on offer. Gatwick Airport has one terminal which sees over 9 million passengers fly to over 85 destinations each year. You can find all the information you need here to make sure your visit runs smoothly, whether you are travelling to, from or through Gatwick Airport. If you are looking for information about arriving and departing flights at Gatwick Airport, you can view our Live Flight Arrivals and Live Flight Departures pages which include details of flight times, delays and cancellations, plus other useful flight information. North Terminal was built on land originally planned for a new runway, however it was decided North Terminal would be built instead. North Terminal is home to the world’s largest passenger air bridge which connected the main part of the terminal to a new pier. North Terminal now houses all of easyJet’s flights as part of ongoing work to improve the services at Gatwick. 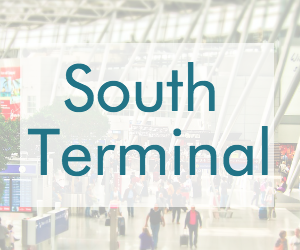 South Terminal at Gatwick Airport deals with the majority of the airport’s traffic and is the original terminal of the airport. It is connected to the North Terminal by a shuttle system, but this is only accessed before security. British Airways flights can now be found flying from South Terminal.